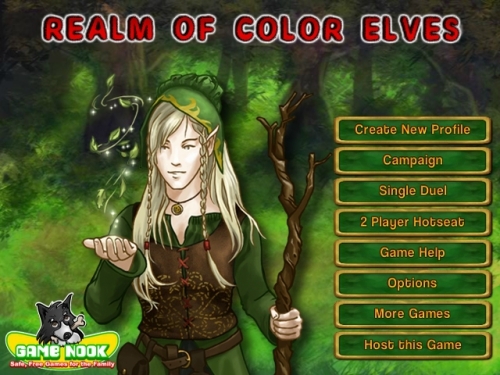 Description A fun match 3 game where you will need to play against increasingly difficult players before you can play against the Elf King and win the game. Beat the Elf King in this challenging match 3 game. To get to the Elf King you'll need to fight your way through many levels and many opponents. Controls Use mouse to swap the blocks. Use in game help book.